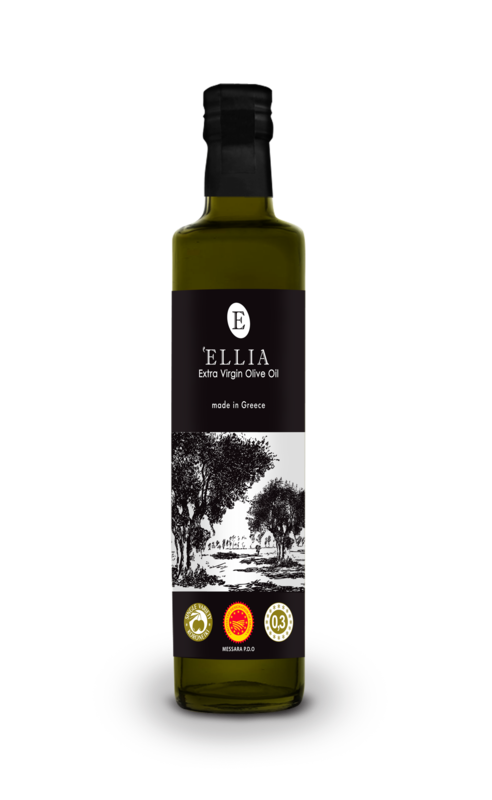 The name ‘Ellia comes from the ancient Greek female name Eleni and means bright, full of light. Description Well balanced oil with unprecedented intense aromas of freshly cut grass and tomato leaves with moderate bitterness and characteristic spicy tones. Certified Organoleptic Analysis from the accredited Chemical Laboratory of the Ministry of Development, Competitiveness, Infrastructure, Transport and Networks.